When Cassini plunged into Saturn last month, peoples’ hearts broke. Admirers held funerals. They cried. They flooded Twitter with mournful gifs. The NASA space probe launched in 1997. In its 20 years in orbit, it taught us a lot about Saturn. It explored the planet’s moons and provided data that will fuel scientists’ work for years. Then on Sept. 15, 2017, Cassini, unable to travel much further on an empty fuel tank, plunged to its demise in an effort to collect more data about Saturn’s atmosphere. 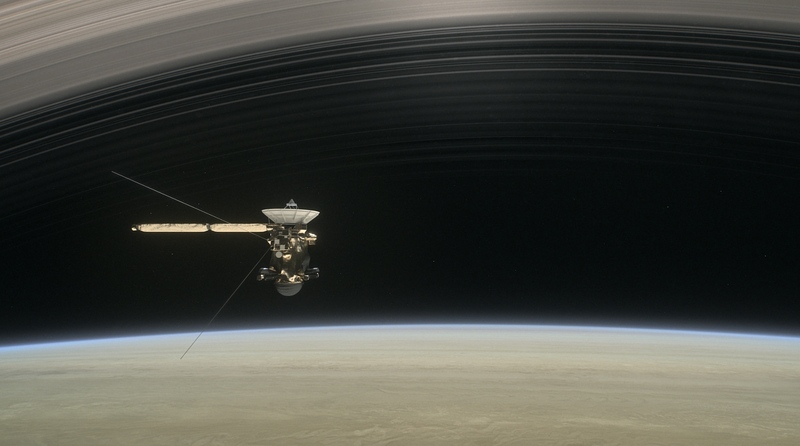 Cassini faithfully transmitted those final numbers and images during its last seconds. While it was really just a hunk of metal, the robot was often given human-like qualities on social media. This made it so devastating when Cassini died—even though it was never alive in the first place. Todd Barber, the lead propulsion engineer for Cassini, was one of those who broke down. But it made sense that Barber would cry. He had worked closely with Cassini for much of his career. Why had the rest of the public reacted similarly? Gillan says social media played an essential role in why Cassini, a simple, school bus-sized spacecraft, tugged at the heartstrings of so many. Gillan adds that the grief around Cassini also stemmed from how we anthropomorphized the robot. People drew comics of Cassini talking to Earth and Saturn, referred to it as a friend and thanked it for its data. Now, as we continue on after the loss, grief is turning into pride. Many post the spacecraft’s photos of Saturn and its moons with messages of hope and wonder. Now he knows they were. He believes it was Cassini’s data and benefit to science that endeared the spacecraft to the public. “Maybe that’s why they were invested in the mission and felt sadness with us,” he adds. Jessica is a Brooklyn-based writer and editor who covers evolution, animals, insects, the environment, beauty science, fashion, health, the Internet, and more. You can find her work at New York Magazine, Gizmodo, Jezebel, Popular Science, NPR, and Science Magazine.